“It is not every day one is sent a masterpiece to review”, wrote Gabriel Josipovici in reviewing WG Sebald's The Emigrants; “(I suppose one is lucky if it happens more than once or twice in a lifetime)”. He goes on to write that this is perhaps the closest he'll ever come. This is high praise indeed, and enough to spark my curiosity. A short while later, and I had located and downloaded a copy to my e-reader, poised to dive into this widely acclaimed memoir. For the heart, life is simple: it beats for as long as it can. Then is stops. One of my favourite author's is Milan Kundera, who writes beautiful philosophical prose, unafraid to go off on tangents during the story, or to have his characters do likewise. Knausgård's writing has a similar quality. He spends time considering things, whether it's art, death, or love. 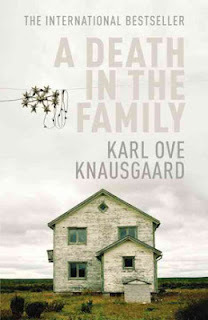 The book is primarily about Knausgård's difficult relationship with his father. 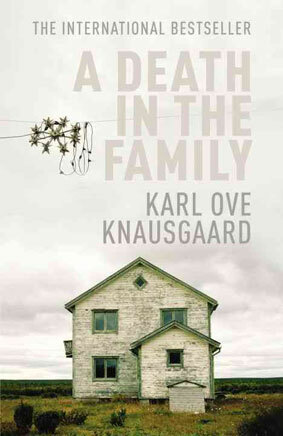 Growing up as the youngest of two sons, the reader is taken through Knausgård's early life in the first half of the novel. The narrative jumps from present to past on a number of occasions, which made the experience of remembering all the more authentic. As a reader, I felt as though I was going on a very personal journey with the author, and I sensed a genuine connection with the writer, in a way I don't recall experiencing before. This is also a book about growing up, about what it means to come to see your parents as people, with real flaws and real weaknesses. For Knausgård, this realisation comes to a head painfully in the second half of the book, when his Father dies as a result of his descent into alcoholism. It is difficult to read about the house full of bottles, about the way his Father lived in filth, so I can only imagine it must have been difficult to write about. Yet, he does write about it, emphasizing every minute detail, and presenting the reality of this man. The moment in which Knausgård comes face to face with his father's corpse is the most moving and powerful point in the memoir, though I won't ruin it for you here. This book is an elegy, stark, and honest. In a way, there could be no greater tribute to his Father. "A Death in the Family" earns its right to be called a masterpiece because it tells the story of a life, ordinary in many ways. There is no pretence. It is simply what happened, told eloquently and with touching sincerity.